Shiva Shakti Tantra w/ John Friend of Anusara Yoga. New Video. Our Nature is Joy. Even our Confusion is Joy. “As soon as you start to lose the integrity, it’s over,” John Friend says referencing a yoga posture. But, of course, it could and does apply to life and business and love, as well. We elephantians have been given exclusive first (well, second, after Anusara itself) look at this happy cool stylish hip touching meaningful 8-minute video, only 24 views, help us get it out there..! Post it to Facebook profile, tweet it, email it, share it with friends over the breakfast table. Stars our friend and occasional advisor, John Friend of Anusara Yoga fame. Gorgeous video by our friend and frequent advisor Dave Kennedy and the ever-talented Milo “Yogafellini of Our Generation” Longstaff. Commemorating John’s spontaneous visit to Encinitas, California, celebrating the New Year and setting the tone for a rockin’ next decade for Anusara Yoga. Follow elephantjournal on Twitter. Become a Fan on Facebook. 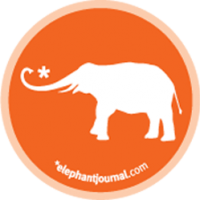 Subscribe to elephant’s free, weekly top 10 blog enewsletter. Hello, Neat post. There’s a problem with your site in web explorer, might test this? IE nonetheless is the marketplace chief and a large portion of folks will leave out your fantastic writing due to this problem. Again, where i brushed them candice michelle diva and took a.